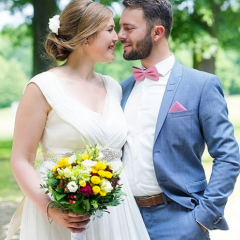 Our bride Danijela looks sooo beautiful and happy in the Marnie gown from Wtoo by Watters. We love! 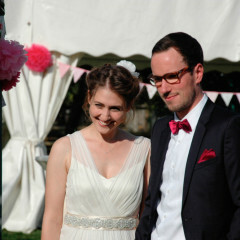 Our lovely bride Andrea is wearing a whimsical gown by Saja Wedding. Our lovely bride Jenny wearing the Cristiana gown by Wtoo by Watters and a customized lace topper. The flowing gown by Donna Morgan is the perfect maternity dress. 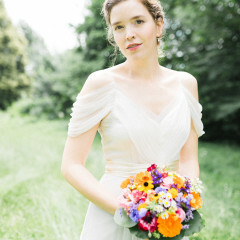 Beautiful Beatrix in the Ivory Marnie gown by Wtoo by Watters. 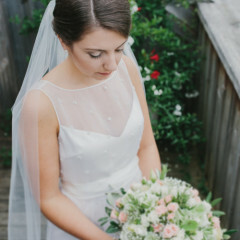 Our bride Alessa shines in the delicate silk gown by Saja Wedding and the matching hair piece by Maison Guillemette. Bridesmaid Marta wears a dream in soft tulle by Wtoo. 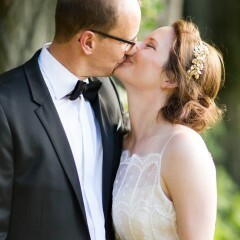 Our beautiful bride Christina is wearing the Marnie gown by Watters Wtoo and a golden hair pin by Mignonne handmade. 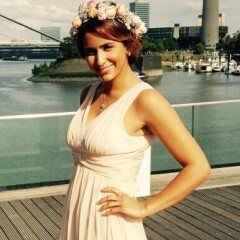 Nergiz at her best friend’s wedding in a dress by Donna Morgan in Chantilly. 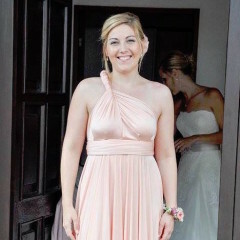 Bridesmaid Ria in her magical wrap dress by TwoBirds in Peach. We love! 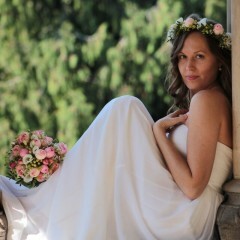 Our Bohemian bride Iryna wearing a strapless ivory dress by Donna Morgan. 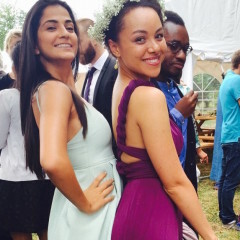 Clarissa (on the right) as a bridesmaid wearing a TwoBirds dress in Aubergine. 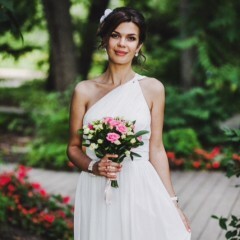 Bride Elena in a one-shoulder dress by Donna Morgan and a headpiece by Maison Guillemette. Sophie is happy in her dress by Saja Wedding (HB6633) combined with the Sakura sash by Davie & Chiyo. Katrin in a dream of organza by Saja Wedding (OR6353) and the matching veil. 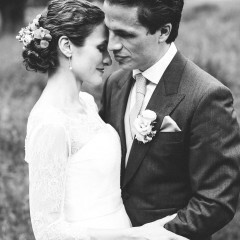 Our bride Alexandra wears the wonderful wrap dress by TwoBirds in Ivory. 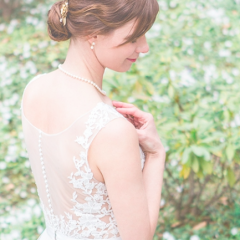 Isabel looks stunning in her dress by Saja Wedding (HB6633) and the Morning Mist belt by Davie & Chiyo.